To deliver peace of mind, security, and maybe even some entertainment, Cobra’s Drive HD Dash Cams record everything drivers see in full 1080P HD video. 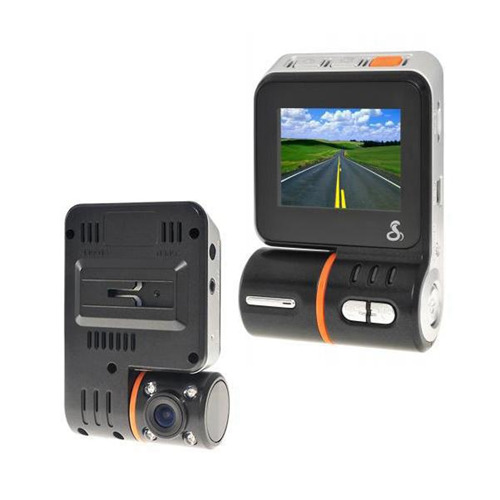 It’s a crazy world out there and Drive HD Dash Cams are the perfect solution to continuously record you surroundings keep you and your vehicle safe and secure. An embedded G-Sensor automatically saves clips where an impact has been detected . Drive HD Cams also take 12 megapixel still shots and all images and videos can be viewed on a TV or Computer. Continuous Loop Recording -Time/date stamp embedded on all recordings. G-Sensor -Automatically saves events when a collision has been detected. Vivid 2-Inch LCD Screen -Video can also be played back on your TV or computer. High Definition Recording - Records everything you see in 1080P Full HD (1920x1080). 8GB MicroSD Memory Card Included - The unit is ready to use out-of-the-box. Installation is simple with a heavy duty suction cup mount. Continuous Loop Recording - Overwrites old footage unless you want to save it. A time/date stamp is embedded on all recordings. Infrared LED Headlights - Allows you to film day or night. G-Sensor - Automatically saves events when a collision has been detected. 12MP Camera - Captures high quality still photos. Vivid 2 inch LCD Screen - Video can also be played back on your TV or computer. 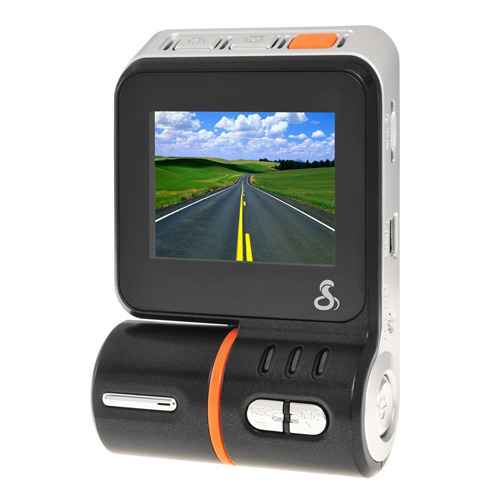 Swivel Cam - Allows you to film the road or your cab. Rechargeable Lithium Ion Battery - Continues recording in the event of power loss due to a collision. 140° Wide Angle Lens - Shows as much of the road as possible while maintaining HD clarity. Emergency Record Button - Manually saves and locks video clips to be viewed at any time in the future. EIS Anti-Shake Function - Electronic Image Stabilization makes for smooth videos on rough roads. Built in Microphone & Speaker - Option to record and play back audio. Mini USB Port - For easy viewing and managing of video files, on a computer. MicroSD Card Slot (Up to 32GB) - 8 GB MicroSD card included. What's in the box: CDR 810 HD Dash Cam, 8GB MicroSD Card, 12V Power Cord with Cigarette, Lighter Plug, USB Cable, A/V TV Cable, and Heavy Duty Suction Cup Mount.